Jonathan M. Shiff Productions / Beyond / Ten Network. 78 x 30mins. 1994-97. Creator/Executive Producer: Jonathan M. Shiff. Executive Producers: Jonathan M. Shiff, Jennifer Clevers. CD (ST)	Oceanic Music. OM8988D. 1995. Music and Lyrics Composed by Garry McDonald and Laurie Stone. Recorded at The Music Department and Grevillea Studios (Brisbane). Engineers: Laurie Stone, Malcom Jacobsen. Digitally edited and mastered by Ridney Jacobsen. Sound design and all Keyboards: Laurie Stone. Forever Blue. (5:13). v: Kim Chandler. CD(t) (ST)	(See COMPILATIONS - AGSC 1997 AWARD WINNERS: Tk08). 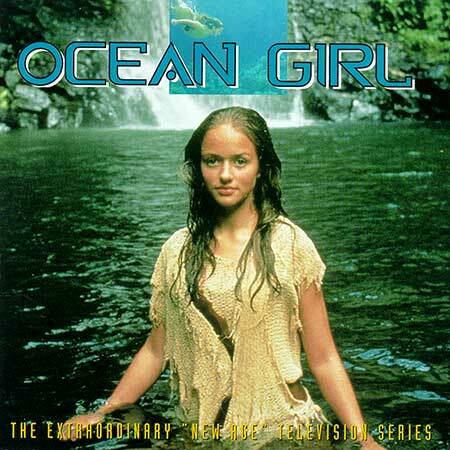 CD(t) (ST) (See COMPILATIONS - AGSC 2000 AWARD WINNERS: "THE NEW ADVENTURES OF OCEAN GIRL" Tk05).